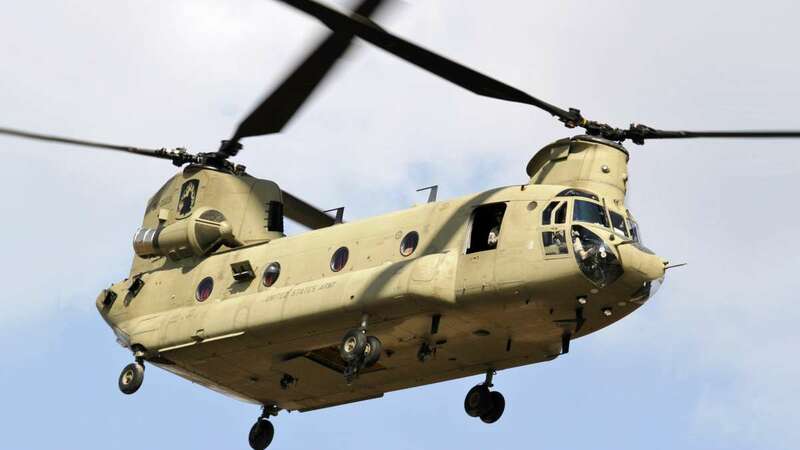 New Delhi : Chinook helicopters features: The aerospace company Boeing in America takes pride to announce that its four Chinook helicopters has arrived India to join the Indian Air Force by the end of 2019. The first four CH-47F (I) multi-mission helicopters were welcomed to the Mundra port of Gujarat on Sunday. The company in a statement mentioned that CH-47F (I) Chinook will be sent to Chandigarh, where they will be formally included in the Indian Air Force at the end of this year. "CH-47F (I) Chinook is an advanced multi-mission helicopter, which will provide unmatched strategic airlift capability to the Indian Armed Forces in the entire spectrum of fighter and human missions," the statement said further. It was in September 2015 that the Government of India has signed an agreement to buy 15 Chinook helicopters from Boeing in US. In August 2017, the Ministry of Defense took a major decision and approved the acquisition of six Apache combat helicopters, 15 Chinook heavy cargo helicopters and other weapon systems at a cost of 4168 crores from the American company Boeing for the Indian Army. Chinook first flew in 1962. This is a multi-mission class helicopter. Chinook helicopter is the special force of the US Army. With the help of this Chinook helicopter, American commandos entered Pakistan and killed Osama bin Laden. Chinook is a two-rotor heavyweight helicopter consisting of Vietnam to Iraq's wars. The chinook that India has bought is named CH-47F. This is a multi-mission class helicopter. Earlier this year, Boeing in Philadelphia, USA, officially handed over the consignment of Chinook helicopter to India earlier this week. According to the deal, by the end of this year, India will get all Apache and Chinook helicopters. This will increase the strength of the IAF. According to Boeing, Apache is considered the world's best fighter helicopter. At the same time, Chinook helicopter is capable of flying at very high altitude. Chinook can easily carry heavy luggage too at a very high altitude. The US military has been using Apache and Chinook for a long time. In 2018, Boeing gave training to the Air Force pilots and flight engineers to fly Chinook helicopter.